Size of this preview: 472 × 600 pixels. Other resolutions: 189 × 240 pixels | 378 × 480 pixels | 604 × 768 pixels | 806 × 1,024 pixels | 2,361 × 3,000 pixels. General notes: Use Presidents List Number 5 when ordering a reproduction or requesting information about this image. This media is available in the holdings of the National Archives and Records Administration, cataloged under the National Archives Identifier (NAID) 518139. 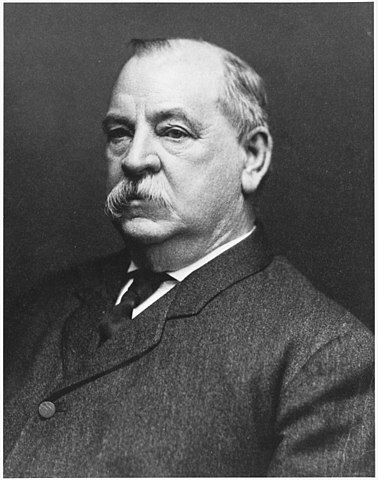 This file has an extracted image: File:Grover Cleveland - NARA - 518139 (cropped).jpg.